Amazing buildings have been destroyed due to mortars, terrorism, free will and the musings of politicians. It seems mad to us now, in an age when preservation is a priority, that buildings of historical significance have been torn down without any governmental say-so. In every part of the globe, our lands are littered with the remains of what's been left behind, or the spaces where things 'could have been'. World War Two attacked few cities to the same extent it ravaged the German city of Dresden. While people were captured, fled or hid in basements, the city around them, and its beautiful baroque architecture, was being blitzed by a persistent rain of bombs. Whilst the destruction of baroque architecture was undoubtedly an utter tragedy, one building of unusual note was also left in disrepair by the war. The city’s gothic Sophienkirche, with twin neo-gothic spires, was the admiration of local people. Though the bombs blasted some of the church’s exterior, however, it was not the war which eventually saw to the church’s demise, but the fateful words of a contemporary politician, who said: ‘a socialist city does not need gothic churches’. And so, in the early 1960s, the Sophienkirche was demolished. The area where the Sophienkirche existed is now a much more unsightly collection of 1990s-style buildings, and not worth a trip for travellers. In the middle of the city, though, the beautiful Frauenkirche cathedral was restored in 2005, and should feature high on any tourist’s ‘to-do’ list. It surprises most to hear of the wide presence of Ancient Roman ruins in northern Africa, and that one of Ancient Rome's most famous sites in fact lies in Tunisia. The ancient city of Carthage was a hot bed of shipbuilding and imports of jewels, glassware, gold, and ivory. However, the city – which was only second to Rome in its splendor in the region – was destroyed around 146BC in the Third Punic War against Rome, after which point the Carthaginian Empire was defeated . After its demise, the city was rebuilt by the Romans, but was eventually destroyed for the second time several centuries later by the Muslim conquest. Today Carthage lies in ruin in modern Tunisia, and is a great pull for tourists visiting the country. The outlines of homes, palaces and the harbor can still be seen, giving a glimpse of the grandeur of this historic Mediterranean empire. For those who want to avoid the capital, the coastal towns of Sousse, with its ‘Medina’, and Hammamet, are brimming with ancient ruins and museums that will give you a rounded overview of the country’s history. The loss of this great library, which stood in the city of Alexandria in Egypt, still represents the destruction of public knowledge for many historians. Why, how and when it was exactly lost is difficult to establish, but most books on the subject point fingers at Julius Caesar, Emperor Theodosius I or the Muslim Army of Amr ibn al ‘Aas as culprits, and suggest it was destroyed by fire. 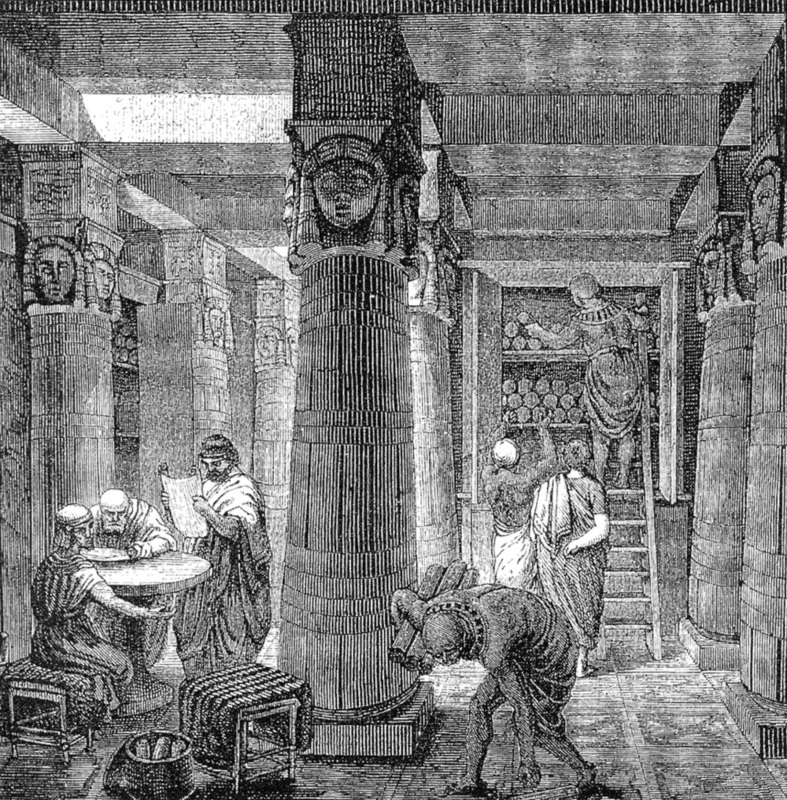 In the last centuries of the period before Christ, the library was the greatest in the ancient world. It had reading rooms, lecture halls, gardens and shelves brimming with papyrus scrolls containing all the knowledge of ancient times. When it was destroyed, some scrolls were preserved and moved to other locations, but most suffered damage again in their second homes. For visitors wanting to see the ruins now, that is not possible. There are none. Instead, the Biblioteca Alexandrina, a modern library built to commemorate the Library of Alexandria, stands in its place, though with less of the glory of its predecessor. Tourists flock to an English town to see the site where the world’s most famous wordsmith was brought into the world. After his childhood, however, Shakespeare moved to London, where he began his career as an actor and writer – though very few records can mark him down in one particular place at a given time. As a wealthy, middle aged man, though, we do know this: Shakespeare bought a home in Stratford. New Place was purchased in 1597 for the great sum of £60, and was home to his wife Anne and his children, until he too eventually returned there in 1610, to commence his retirement. It was also the unfortunate stage for his death, six years later, in 1616. So why do we not visit and revere this home, where the adult Shakespeare housed his family during the prime of his career? When Anne Hathaway later died in 1623, the house was sold and passed into different hands, before becoming the property of Francis Gastrell. Angered by visitors pestering the outside of his home to see the site where Shakespeare lived, Gastrell tore the place down in 1759. The piece of land where New Place once stood is protected by the Shakespeare Trust, but is unfortunately just that; a space. All we have now are artists’ drawings and our imaginations to attempt to conjure an image of “the forms of things unknown”. Due to the recent conflict, the cost of disruption and human lives in Syria far outweighs the damage to buildings. But the ancient Aleppo Markets, registered by UNESCO as a World Heritage Site, have suffered tremendously during city wide fights, eventually becoming engulfed in flames that destroyed the majority of the ancient 'souk'. Somewhere in the region of 700-1,000 shops were destroyed, as water strikes meant that containing the fire was nigh on impossible. What was once a huge tourist attraction within this thriving city is now just a marker of the tragedy that has taken over and ripped the country apart. Did you enjoy this article? If so, tell the world! Please like it, share it, or tweet about it by clicking on one of the buttons below!